The Hamburg-based developer Bytro is proving that there is still room for innovation in the competitive mobile gaming market with their new mobile apps for the successful PC game Call Of War,which will be available worldwide in eleven languages on March 20th. 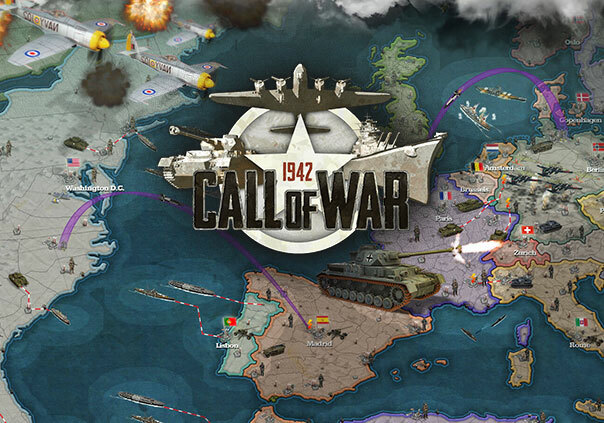 Set in World War II, Call of War is the first genuine MMO grand strategy game that is available on smartphones and tablets. Players take control of one of the major nations in the war and dive into some of the most thrilling battles of the largest conflict in history along with up to 100 real opponents. In order to win, they will have to conquer entire regions, forge alliances, grow their economy and research the secret weapon projects of World War II. It’s up to players to decide how they want to achieve their goals. Do you try to make allies or do you ruthlessly push your own interests? Do you develop advanced weapons or do you grind down your enemies in a slow but effective war of attrition. The game is played in real time and matches can last several weeks. What makes Call Of War special, besides its challenging gameplay and authentic setting, is its consistent approach to cross-platform play. “Our players, a total of three million across all versions of the game, are free to choose whichever platform they like best. They can play from their browser, on Steam or through the iOS and Android apps, all with a single account. We are especially proud of that”, says Tobias Kringe, managing director of Bytro. Thanks to its HTML5 framework, no plugins are needed to play the game from your browser. Alongside this sophisticated technical implementation, Call Of War aims for maximal user comfort and exciting battles in a historically accurate scenario. Players move their units simultaneously in multiple passes, allowing them to try out different tactics and strategies. Fans of strategy board games in particular will have a blast with Call Of War, the developer Bytro believes.